On 5-6 February 2019, an ‘intra-Afghan’ dialogue sponsored by the Afghan Diaspora in Russia concluded with a 8-point statement issued by the participants. The meeting between the Taliban and some Afghan leaders, without the participation of the Afghan government, was facilitated by Russia. It is considered the beginning of a process for re-integrating the Taliban into the governing structures of Afghanistan. The Moscow meeting may be seen in the context of the direct talks held on 21-22 January 2019 between the United States and the Taliban in Qatar. The next intra-Afghan dialogue after the Moscow meeting would take place in Qatar. Most of the top Taliban leaders participating in the talks in Qatar are based in Pakistan. From the perspective of India’s bilateral relations with Afghanistan, three issues become relevant in the likelihood of a Taliban-dominated government taking power in Afghanistan. The first is the impact of such a government on India’s existing policy to counter terrorism emanating from the Af-Pak region. 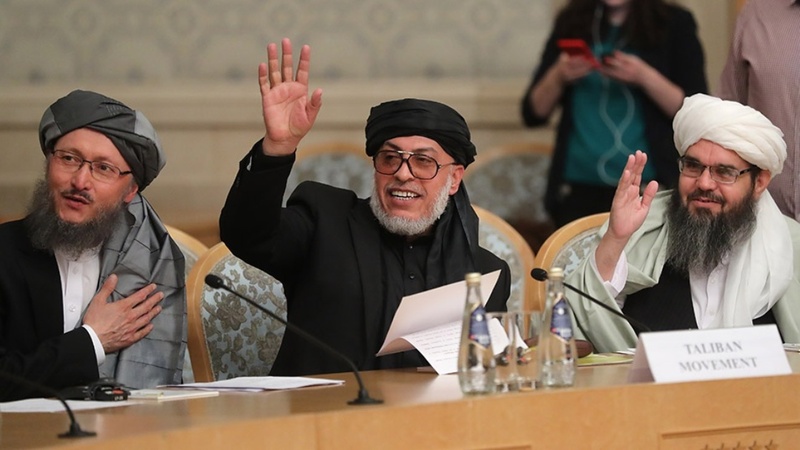 The Moscow meeting’s outcome statement makes no mention of terrorism, although terrorist acts have inflicted heavy damage on Afghan society, infrastructure and institutions in recent months. Instead, the focus is on “the principles of Islam religion and national values” that are expected to regulate the country after a “dignified and lasting peace” has been ushered into Afghanistan. Close cooperation between security agencies and governmental structures in India and Afghanistan since 2001 have played an important role in India’s bilateral counter-terrorism policy on Afghanistan. India’s objective is to prevent the influx of foreign terrorist fighters from Af-Pak into India, as was witnessed during the early 1990s after the winding down of the jihad in Afghanistan against Soviet occupation. Since the Mumbai terror attacks of November 2008, terrorism linked with groups based in the Af-Pak region like Lashkar-e-Taiba (LeT) has expanded its ambit by targeting the fabric of India’s socio-economic growth and transformation, including crucial flows of international investments and trade. Given the ideological linkages between these groups and the Taliban, it is unlikely that a Taliban-dominated government in Kabul will cooperate with India in countering terrorism from the Af-Pak region. The second is the impact of a Taliban-dominated Afghan government on India’s bilateral development programme in Afghanistan. Two thrust areas of India-Afghanistan bilateral cooperation are especially critical. One is the strategic orientation of cooperation in providing Afghanistan connectivity options to access global markets without being held hostage by the existing land routes through Pakistan. The Chabahar port project, and its linkages with the road and rail network of Afghanistan (of which the Zeranj-Delaram highway project built by India is an important part) illustrates this aspect. Another is India-Afghanistan socio-economic cooperation focused on developing human resources capacities. In this sphere, India-Afghanistan cooperation in empowering Afghan women, who constitute half the population of the country, has a long-term impact on Afghanistan’s sustainable development. Work done by India in encouraging the growth of Afghan women’s self-help groups was highlighted by India at the November 2018 Geneva UN Conference on Afghanistan. The Moscow Meeting’s outcome statement does not provide an optimistic outlook for international cooperation in this area. It speaks of “Islamic principles” that will guide the “protection of social, economic, political and educational rights of the Afghan women”. Apart from constructing the new Parliament building in Kabul, India has prioritized bilateral cooperation on sharing her democratic experience with Afghanistan. A MoU signed in 2011 between the two countries covers “exchange of knowledge and experience in electoral processes; exchange of information, materials, expertise and training of personnel; production and distribution of materials pertaining to electoral systems, voting technology, voters’ education and awareness, and participation of women and minorities in electoral process.” Prospects of continuing to implement this MoU would appear to be uncertain if the constitutional framework of Afghanistan is jettisoned by a Taliban-dominated government in Kabul. Beyond these bilateral implications, India also needs to review her stakes in the larger process of regional integration of post-conflict Afghanistan. At the regional level, India has participated actively in two platforms to coordinate and cooperate with Afghanistan’s regional partners. One is the Istanbul ‘Heart of Asia’ process, which brings together all the immediate neighbours of Afghanistan as well as Russia, Turkey, Saudi Arabia, the UAE and Azerbaijan. The 6th Ministerial Conference of this process was held in Amritsar in November 2016. At the 7th Ministerial Conference held in Azerbaijan in December 2017, participants urged “the Afghan Taliban to enter into peace talks with the Government of Afghanistan.” In the absence of the Afghan government from the Moscow meeting, this objective remains to be achieved. The position of Central Asian states on Afghanistan has understandably been nuanced. There exist significant Central Asian ethnic minorities in Afghanistan. The largest are the Tajiks, followed by the Uzbeks and Turkmen. Some of these ethnic groups had banded together in the Northern Alliance that had opposed the Taliban in the 1990s. India and Russia, along with Iran, had supported the Northern Alliance at the time. Turkmenistan, however, had initiated direct contact with the Taliban for the construction of a gas pipeline to Afghanistan and Pakistan (the precursor of today’s Turkmenistan-Afghanistan-Pakistan-India pipleline, or TAPI). The flurry of diplomatic exchanges between the five Central Asian states in 2016 following the coming to power of the new Uzbek President Shavkat Mirziyoyev has ushered in a new phase of regional cooperation aimed at greater regional integration, including Afghanistan. Central Asia’s priorities in a post-conflict Afghanistan are set out in the outcome document of the November 2017 International Conference on Security and Sustainable Development of Central Asia held in Samarkand, Uzbekistan, in which India had also participated. The document prioritized “reconstruction of (Afghanistan’s) socio-economic infrastructure”, more active integration of Afghanistan into “global economic networks” and Central Asian participation in Afghanistan’s energy, transport-communications and investment sectors. Recognizing the danger posed by cross-border terrorism (from Afghanistan), Central Asian states called for strengthening “cooperation in identifying and preventing cross-border terrorist activities, suppressing recruitment channels of militants, countering terrorism financing and arms smuggling, ensuring cyber security and protecting information space from extremist attacks.” Pursing these objectives with a Taliban-dominated Afghan government would be an uphill task for Central Asia by itself due to capacity constraints. This opens the option for India to play a more proactive role with Central Asia in Afghanistan. Finally, India would need to recognize that the Taliban were facilitated to travel to Moscow for the intra-Afghan meeting as a result of Russia’s interests in post-conflict Afghanistan. India’s “special and privileged strategic partnership” with Russia, reiterated at the 19th Annual Summit in New Delhi on 5 October 2018, supports the “Afghan government’s efforts towards the realization of an Afghan-led, and Afghan-owned national peace reconciliation process.” As noted earlier, the Moscow Meeting took place without the Afghan government. Russia’s Central Asia and Afghanistan diplomacy, including the early February 2019 visit to Kyrgyzstan, Tajikistan and Turkmenistan by Russian Foreign Minister Sergey Lavrov, continues with the policy of making Central Asia a buffer between violent extremism in Afghanistan and Russia’s own Muslim population. However, on the multilateral level, Russia has been part of ‘great power’ efforts to reintegrate the Taliban into a post-conflict Afghan regime. This has been evident ever since Russia acquiesced with the unanimous adoption of UNSC Resolution 1988 in July 2011, which separated the Taliban and Al Qaida counter-terrorism measures. Led by the United States, the UNSC’s five permanent (P5) members have since then calibrated tweaking the Taliban sanctions regime (focused on assets freeze, travel bans and an arms embargo) to coax selected Taliban figures onto the negotiating table. The recent U.S.-Taliban talks in Qatar on post-conflict Afghanistan could not have taken place without Russia’s (and China’s) knowledge and acceptance, given this unanimity among the P5. China’s role in post-conflict Afghanistan converges a bilateral, regional and multilateral approach. China had informal contacts with the Taliban before joining UNSC sanctions imposed on the Taliban by UNSC Resolution 1267 in October 1999. China may be more circumspect about the likely fallout of a Taliban-dominated government in Kabul on China’s core interests, including the restive Uighur population in China’s neighbouring Xinjiang province. China’s contacts with the Taliban were publicly reported in mid-2018, facilitated by Pakistan. As the host of the Shanghai Cooperation Organization, China’s options of handling post-conflict Afghanistan could co-opt Central Asian states, who have a similar concern about the impact of violent extremism on their socio-economic development. On the multilateral level, Pakistan has benefited from the initiatives taken by Russia and the United States, which would be reflected in any UNSC resolution to regularize the outcome of the intra-Afghan talks process. 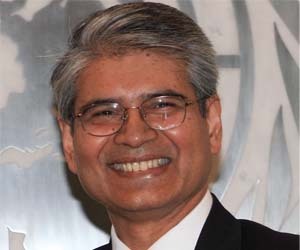 Not being permanently represented in the decision-making process of the UNSC, India’s options in Afghanistan would depend on following up and institutionalizing the discussions held at the First India-Central Asia Dialogue, the second meeting of which is due to be held in India next year. India has finally done an Anti-Satellite Technology (ASAT) test.